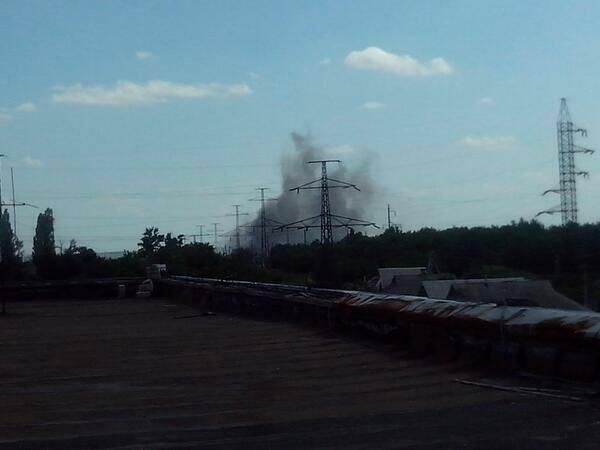 Reports are out that a Ukrainian camp near Zelenopole (or Zelenopillya) has been attacked by GRADs at 5:00 am in the morning and was completely destroyed. "Just reported very bad news. Today at 5:00 am in s.Zelenopole, Lugansk region. 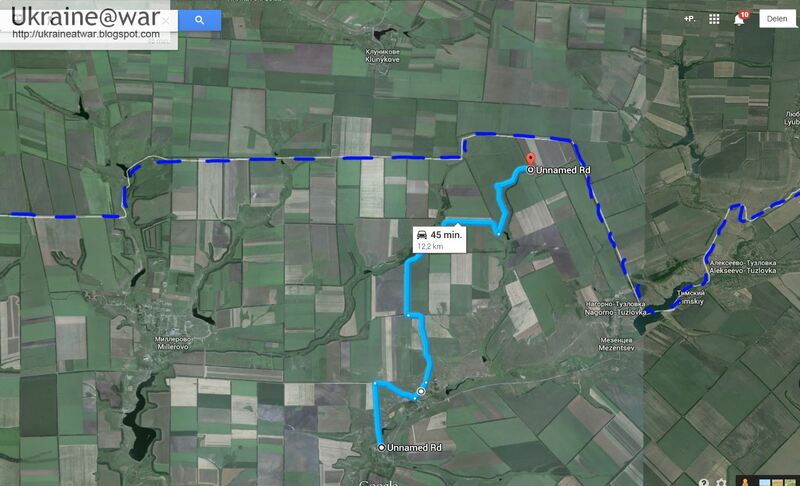 Russian militants from the installation "Grad" fired our guys with 24 motorized brigade (Yavorovschina, Lviv region). A large number of wounded and killed. No connection, all burned. Reinforcements coming. About this horror I was informed by my brother, who is now there. 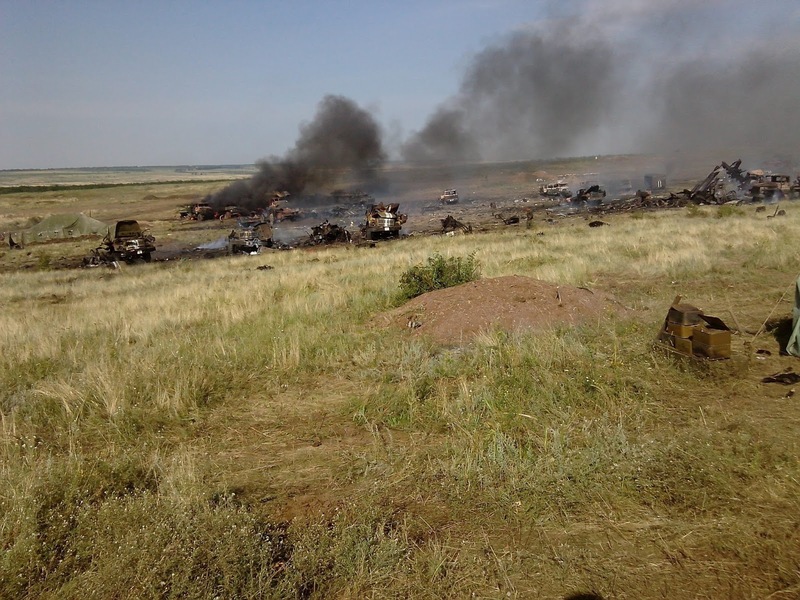 According to unofficial data, the number of our guys killed 30 and wounded more than 100." Immediately Russian news site Lenta.ru published a report where Strelkov confirmed this. "Yes, they were all trashed." 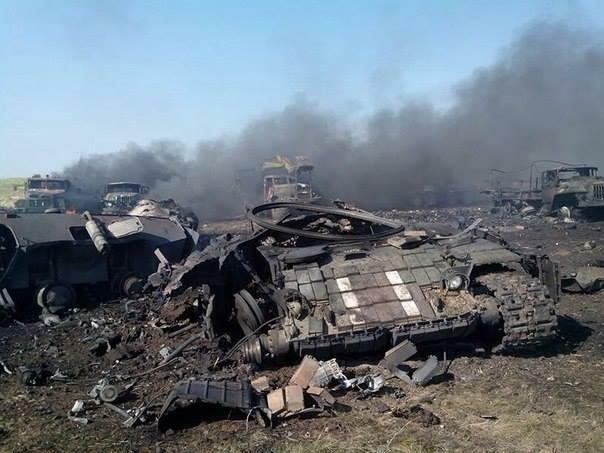 Later the official number is turned down to 19 soldiers and 4 border guards killed. This facebook-page reports about it. It's from Kostyantyn Polyakov, who says it's the 79th brigade. Here is the original facebook-page from Vladimir Parasyuk. 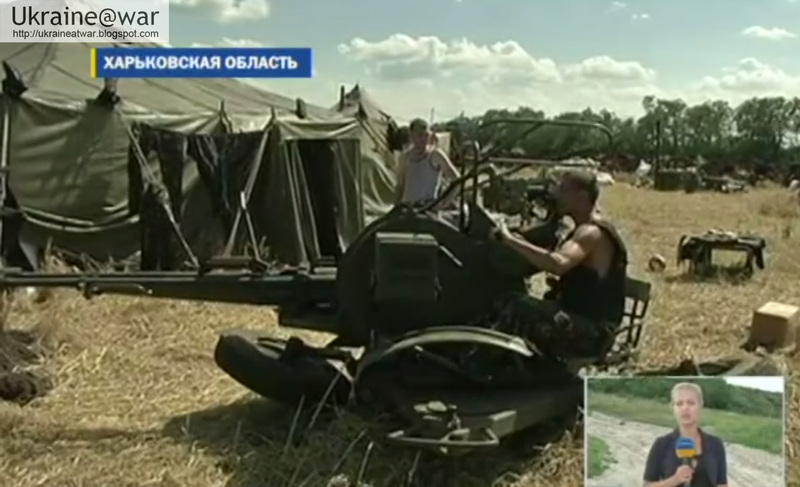 He says it concerns the 24th motorized Brigade (Yavorivshchyna, Lviv region), which contradicts the '79th brigade'. This source says it concerns BOTH 24th and 79th. 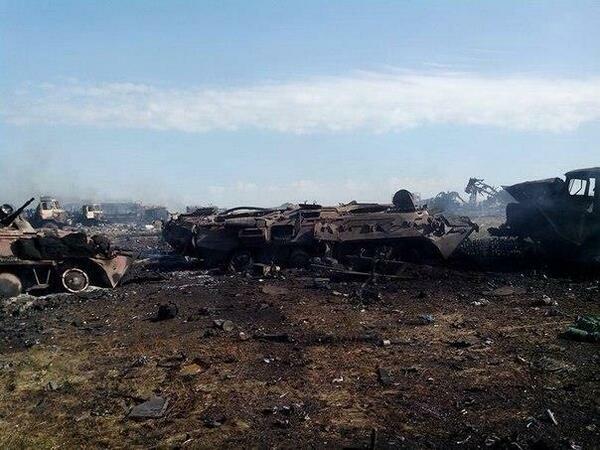 And it says adviser to the Minister of Internal Affairs Zorian Shkiryak confirms that at least 25 have been killed. This is a Ukrainian agency reporting about it and ATO confirms what happened, but cannot say anything about the number of casualies. Parasyuk is called 'an activist'. About 20 destroyed vehicles can be counted. This camp is completely in the open. There is NO COVER at all? Who decided to park here? A military expert told me that one night camps indeed may want to camp in circle in open field to have good view and line of fire in all directions. Yet, it is deadly for GRAD-attacks. So a drastic change of tactics is needed here. @_hedder @lennutrajektoor @djp3tros There's more to the story , russians hide in urban areas , UA forces avoid exposing civilians to risks . 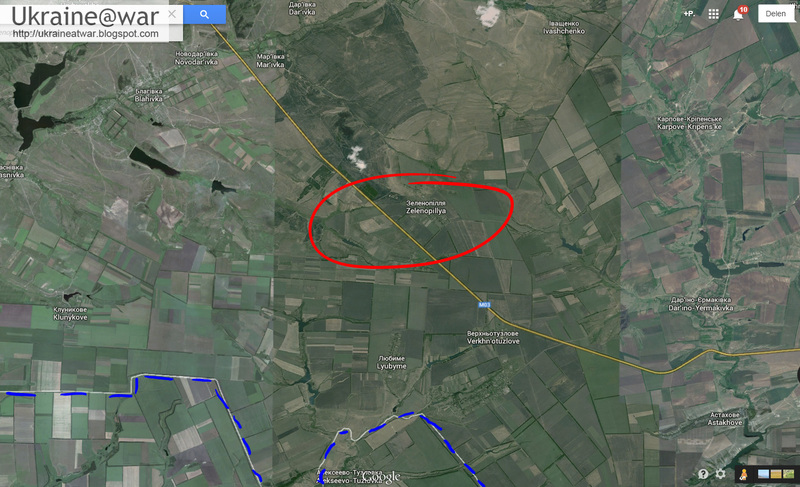 1st brigade 79th regiment camp was scouted by UAVs & shelled after, which all came fr #RUS side. 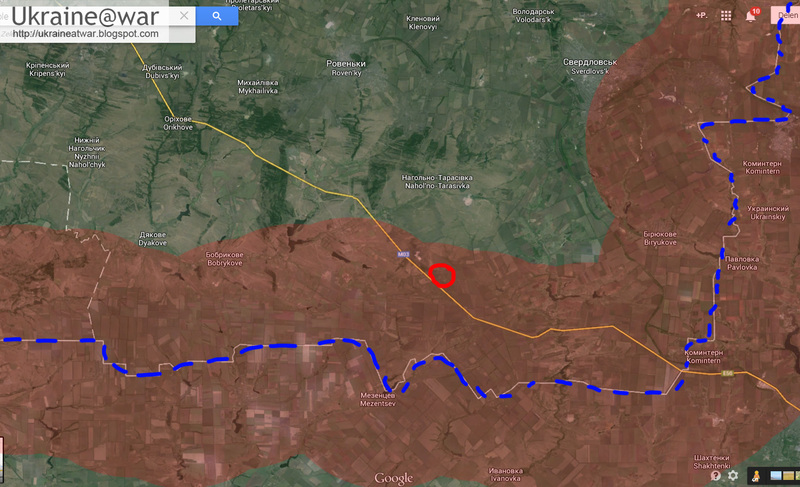 This is 1st incident DIRECTLY by #RUS army. If this true... I have no words right now. 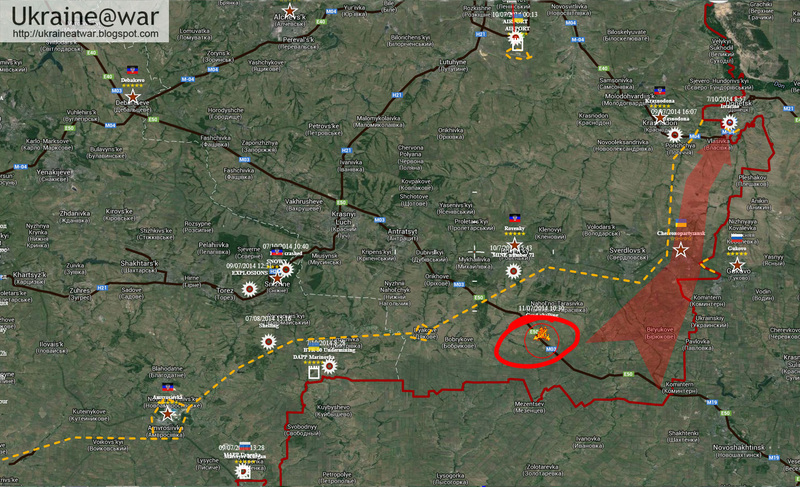 @MiddleEast_BRK They fired it from #RUS territory first and THEN invaded. Right now the GRAD incident is investigated as possible GRAD shelling inside #Luhansk region w reconnaissance done w long range UAV drone. So it could very well be possible that a unit fired on the camp just before or after crossing the border. 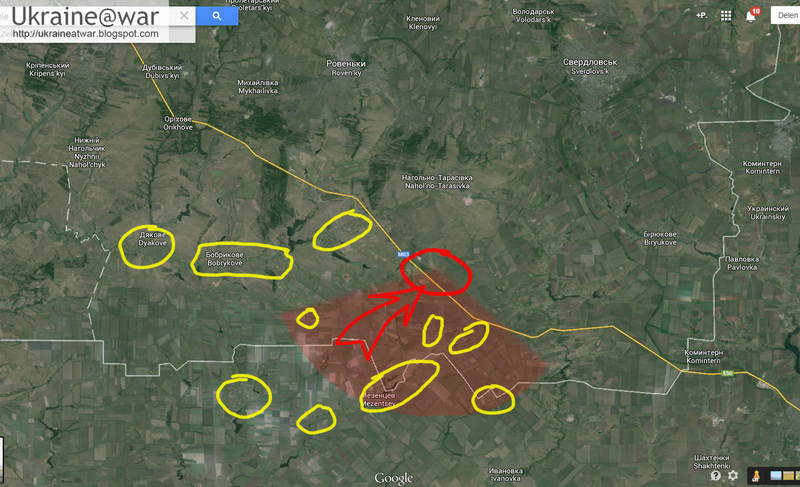 Red circle = area around Zelenopole where convoy was camping. If you have additional information, please let me know.